Student & Band Free Concert this Sunday, Sept 8th at Central Market! Come out to enjoy some food & fun at Central Market this Sunday, Sept 8th 2-6pm! FREE CONCERT for your friends, neigbors, and grandma's to see our Band & Artist Development students strut their stuff. Come on out to Rock the Suburbs with us this Sunday! "This place rocks the burbs!? ?My son wanted to take guitar, so we inquired with the talented musicians at Creative Soul. 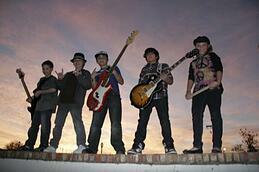 They based their approach on my son's musical interests, goals, and current skills. After 6 months with a one-on-one instructor, he was ready to progress to "Rock Band." Now he practices with his "band" an hour a week to prepare for "concerts" (recitals). He feels like he's part of a true group, they keep each other motivated to do well, and his confidence has increased as well. This is a great place if you want a progressive approach to learning an instrument." Highlighting what our students have been working on this summer, this concert will showcase our Student Band Tour students & Artist Development students. Our students involved in our Band Tour are learning what it takes to be in a Band and they are performing around the DFW/Fort Worth Area with up to 12 "tour stops" a year! Accompanying them are our Artist Development Students, who are honing their craft through extra monthly consults for additional guidance, with periodic stops on the Band Tour's performance wagon! We are very proud of our students' progress. Invite your friends, family, neighbors and grandmas to come to this Free Show at Central Market in Fort Worth, TX, for this family fun afternoon of good music and company! Student Band 101 - Learn music in a group, make friends, and have fun! 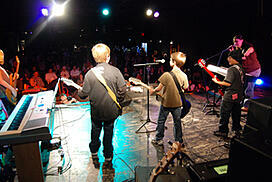 Student Band Tour - Amp it up with extra gigs and rehearsal space! Artist Development - Take your Private Lesson experience to the next level with our artist development program! Want to join in on the fun, but don't know what's right for you?